We help you (re)discover your purpose to build a career you’ll love, wherever in your career journey you may be. Join our community and begin your journey below. be (mis)aligned with your calling. It includes our TOP 5 purpose FAQs, too. 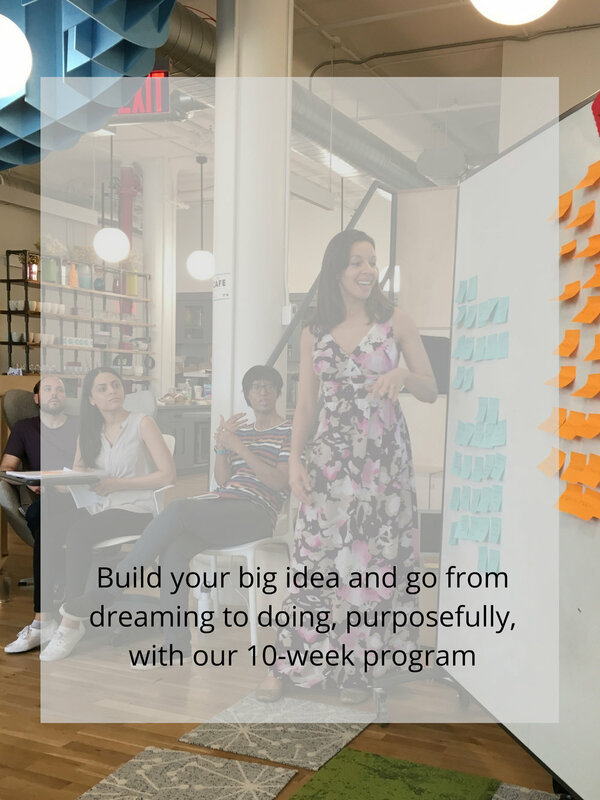 through genuine, transformative experiences, connections to inspiring individuals and breakthrough programs led by award-winning entrepreneurs. Join our growing community and get involved with our programs, workshops and events. to the experience of being full of potential, of having a meaningful purpose that hasn't been acknowledged yet. We aim to start you on your journey to self-discovery, personal and professional alignment and unprecedented growth. Since 2005, we’ve built and led transformative programs for students, professionals and organizations from Warby Parker and Deloitte to Stanford and Duke. Each member of our leadership team has experienced starting anew (from consulting to banking to Peace Corps and teaching to entrepreneurship and the US NAVY). We understand career change and pursuing purpose because we live it. Across the six countries where we run our programs (learn more here).